All-inclusive resorts focus on pampering guests of all ages. Aerial view of Nuevo Vallarta, the planned resort community nearest the airport. 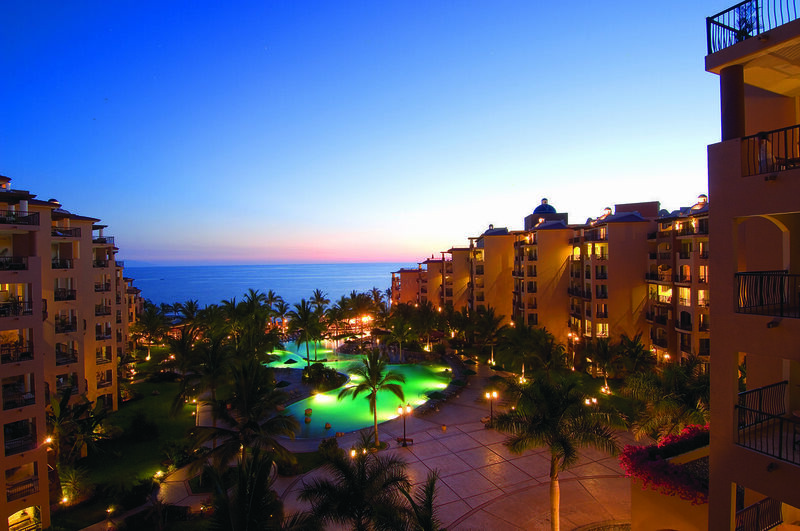 Sunset is the magical time to be at a Riviera Nayarit resort, facing the bay. Protected beach coves shield young swimmers from the rough Pacific Ocean. For a tropical beach vacation packed with eco-adventure activities, head to our pick of the top family resorts along the Riviera Nayarit coast of Pacific Mexico. The mountainous region in the state of Nayarit extends north more than 150 kms from the purpose-built, gated resort of Nuevo Vallarta to the rustic surfers’ paradise of San Blas. 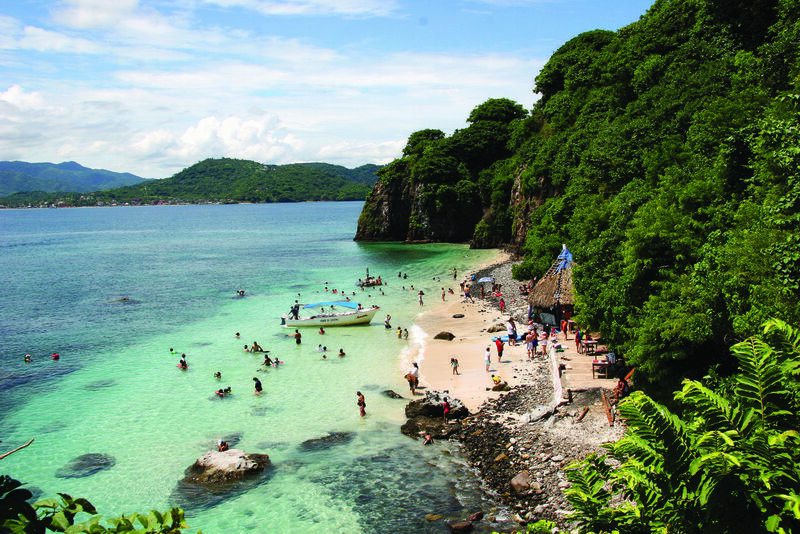 Unlike the sparkling Caribbean on Mexico’s east coast, the more natural Pacific beaches have coarse gray sand and an active ocean fed by silt-laden mountain streams. Eco-conscious Riviera Nayarit has a growing number of oceanview hotels, recently built condominiums and a smattering of stylish boutique hotels -– in every price range. Here’s a look at some of our favorites for families, organized by budget. 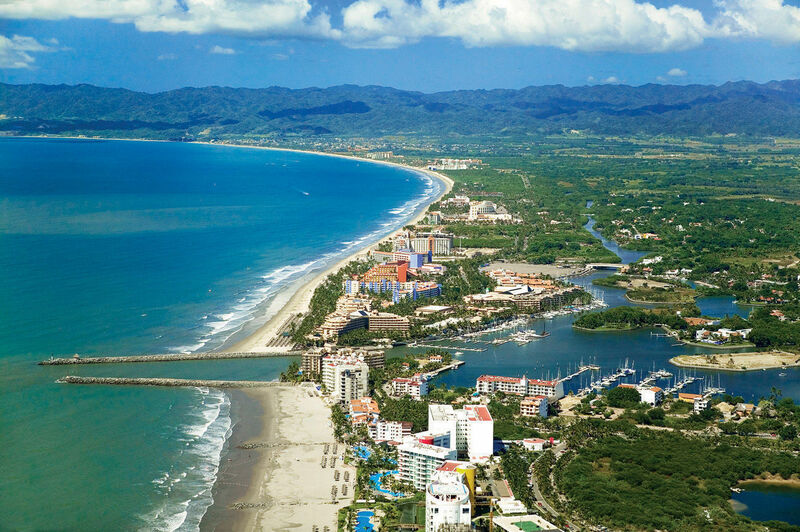 Visit Riviera Nayarit tourism for more general information on the region. La Cruz de Huanacaxtle. Punta de Mita, Nayarit, Mexico. A much more exclusive experience awaits at Matlali, a Preferred Hotel comprised of a cluster of posh hillside villas overlooking Banderas Bay. There are 40 rooms, comprising Junior and Master Suites in a four-story tower and 24 enormous bedrooms clustered in bougainvillea-draped villas that sleep up to eight. Expect lots of service, a private club ambiance, and luxurious furnishings. Facilities in the 400-hectare complex include two infinity pools and a Jacuzzi that paint the two-tiered sundecks a brighter blue than the valley and Bay of Banderas beyond. There’s another freeform pool, wooden yoga deck, a multi-use ball court, and a spa. The seaview restaurant serves breakfast, lunch, dinner and, via room service, “four-minute meals” which the chef prepares for reheating in your villa. Matlali has its own beach club in town with a daytime kids camp staff, and is within easy access of watersports, surfing lessons, golf and shopping in Puerto Vallarta. (Private childcare available on request.) Summer specials. This French Canadian-owned resort is one of the most attractive all-inclusive properties along the Pacific Riviera. Built during Nuevo Vallarta’s birth in the 1980s, the Grand section and others have been recently renovated and redecorated. Low-rise buildings within landscaped grounds comprise 495 rooms: 277 off-white guest rooms and one-, two- and three-bedroom suites, all with marble floors, large TVs and a crisp international style. Double rooms are extra spacious with two double beds, a large balcony and — in addition to complimentary room service — a coffeemaker and free minibar stocked daily with sodas, bottled water and beer. (The Gold Club upgrade which includes separate beach facilities is popular for families too.) Family-friendly one-bedroom suites designed for two adults and three kids have a living/dining area with a pullout queen-size sofabed, two bathrooms and a microwave and fridge. (Reunion planners will love that three-bedroom suites sleep up to six adults and three kids under age 12, or up to eight adults.) Don’t plan on cooking. 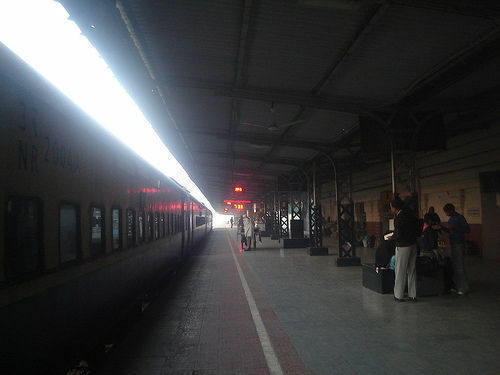 In addition to the well-stocked buffets, there are four a la carte restaurants where the staff provides gracious service. Watersports take place at the large rambling pool (resort scuba course given), kiddie pool with slide, and at the broad sand beach. The Marival Kids Club operates daily year-round, with trained counselors leading the 4- to 12-year-olds in crafts, games and other activities. Marival Teens have video games, rock climbing and archery classes, and access to the disco until 10pm nightly. Children’s rates apply to kids 17 and under; great style and service for this price, but beware the timeshare pitch some guests complain about. There are not many five-star, all-inclusive resorts because it’s tough to maintain a high level of service and quality when you’re catering to so many people on a flat fee basis. Hoteliers can take lessons from the Velas Resorts, which deliver on their promise of luxury suites, gourmet dining and beautiful facilities and grounds. Surrounded by stunning views of the ocean and Sierra Madre Mountains, close to golf or a leading spa when your kids are in the kids club, this becomes a classy refuge for the luxury-minded family. You can read more details about our Grand Velas visit and the group’s other Mexico resorts. This large and well landscaped property is popular with toddler-led families because of its delightful waterplay park and extensive kids’ club programming. Rooms are spacious and comfortable, restaurants are pleasantly varied (a large buffet and a selection of a la carte choices), and the friendly staff make all guests feel at home. 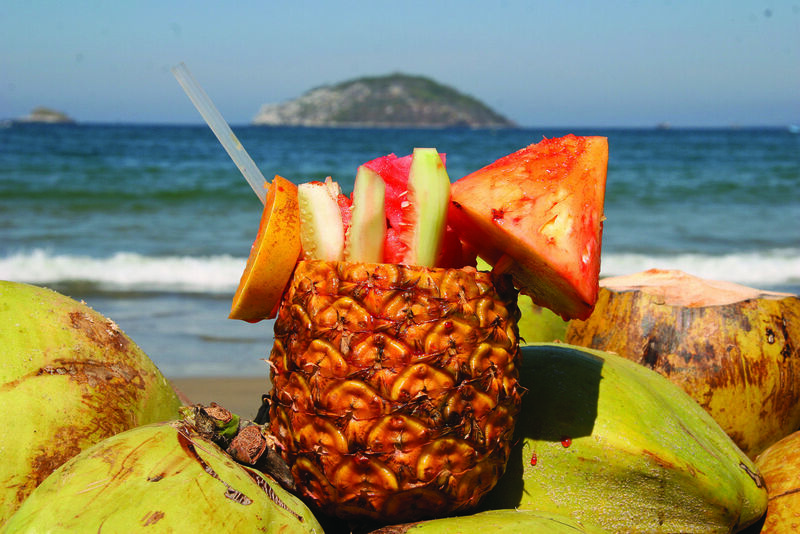 Read more about this top value, luxurious all-inclusive with this firsthand account of an Iberostar Playa Mita visit. This resort differs from others in Nuevo Vallarta because of its dramatic cliff-top site above the Pacific’s pounding surf. Below, a trained lifeguard keeps a watchful eye on guests who are swimming, occupying the hundreds of chaises, or lounging around the rock grotto bar. Above, an infinity pool and pleasant sundeck provide different levels of activity, ideal for parents who want a little peace and quiet. Palladium does have style; there are reproduction Huichol tapestries hanging in public areas and a small zoo for kids to admire. While public spaces are grand and studded with marble and mirror, the 422 balconied rooms are simple doubles with attractive marble baths and sleeping room for four. The spa and gym are small but families will enjoy the service at three a la restaurants – a nice break from the palapa-shaded dining room seating 800 where lines can grow long. A large sports bar off the lobby serves fresh pizza, billiards, lots of beer, and a big screen TV for convivial viewing till 2am. The Palladium’s Mini Club for kids ages 4-12 enables families to have fun together and apart, guilt-free, since kids will be entertained by the PBS TV character Raggs and his pooch pals at mini clubs that are open all day. This is the largest complex within Nuevo Vallarta, a 147-acre property that encompasses the el Tigre golf course with country club and a separate recreation center, a marina, four hotel towers, countless residential condominiums, freestanding villas, an amphitheater for occasional performance or private events, convention center, mall with food court and supermarket. Of most interest to families are the hotel towers that comprise over 700 junior, one, two and three-bedroom suites. Most guests book the apartment units only, but this ultra-full-service resort does offer a moderately-priced meal plan for those who never want to leave. The studios sleep four in two queen beds; one-bedroom units come with a king bed or two doubles in the master bedroom, living room with queen sofabed, a large balcony, full kitchen and dining area for four; that’s the suggested occupancy. There are several restaurants in the area, small palapas shading chaises along the spotless beach, and a few main pools with activity directors and fun crocodile-shaped slides for kids. Activities range from parasailing to bicycling (helmets available too) to an arcade for teens, tennis lessons and poolside games and a “no touch” zoo with some exotic species. Check out the squash courts, a full size gym with basketball and competition volleyball courts, eight outdoor tennis courts, large pool, restaurant and an enormous indoor playspace devoted to ages 4-10 and their guardians, who want to bounce around the two inflatable “moon rooms,” rumble on the padded rubber floors, or climb on the jungle gyms. This Mexican-owned hotel is an elegant choice for families who avoid all-inclusives, because it has enough facilities to entertain kids but not too many to keep you from exploring the beautiful state of Nayarit. From the native Huichol Indian inspired tapestries and gurgling fountains of the lobby, to the Moorish style cupolas, earth-tone tiles, marble floors and stucco walls, there’s a strong sense of place. The 275 large one-bedroom suites with full kitchens are really a home away from home, with all the needed cooking utensils plus a washer/dryer. The master bedroom hosts its own large Jacuzzi that leads directly into a bathing area with tiled walk-in shower, separate toilet room and dressing area; living rooms have tables seating four (the room’s maximum occupancy), a balcony overlooking the sea or gardens, a comfortable sofa and a separate queen Murphy bed folded into one wall. Additionally the resort has an excellent Italian restaurant serving three meals including an international breakfast buffet; a poolside pizza parlor and trattoria; deli and a mini-market for groceries. Other facilities include the small, attractive and well reviewed Tatewari Spa, a basement fitness room and a kids club for ages 4-12. Among the budget options, the upgraded Occidental Grand is liked for its small size: 294 rooms attended by 325 staff. The six stories of rooms are on the small side, yet standard rooms with two doubles, coffeemaker, hairdryer, ironing board setup, phone, TV and small seating area will accommodate a family of four. Colors are a combination of contemporary Mexican limestone and marble, with black, plum or terracotta trim. There’s a big buffet and an Italian specialty restaurant; a disco (kids’ hours from 8pm-9pm); and an activities staff that was organizing salsa lessons, ping pong, archery and pool games at our visit. One fun touch is the colorful Flea Market of local crafts and jewelry vendors organized by the hotel. The plain Kids Club offers movies during the mid-day heat and lots of toys, and will accommodate up to 25 kids from 4 to 12-years-old per shift. The Fun Club staff lends boogie boards as well as books and board games, cues for shuffleboard, and horseshoes for the lawn games. Guests are very complimentary about the PADI Scuba resort classes. Children ages 12 and under stay free. A tiny alternative where charm, artwork and locavore dining trump swimming pools and kids’ facilities, Cielo Rojo is a nine-room boutique hotel in a fun, sophisticated expat town. Families will find homemade tortillas and artisanal tequila in the on-site restaurant, as well as a modern interpretation of authentic Mexican living. The hotel is near the beach, about 45 minutes north of Puerto Vallarta in San Francisco (or San Pancho to the locals), a place with many small boutiques, good restaurants, internet cafes, coffee bars, and foreign newspaper stands. Families heading north of San Pancho and looking for a small town Mexico experience, with bird watching in the mix, should consider the charming little town of San Blas and the Garza Canela Hotel.